This week marks the start of the 90th General Assembly and the inauguration of Arkansas’ new governor Asa Hutchinson. The 2015 legislative session could mean some big changes for education; here’s a round up on what to expect in education legislation for 2015. It looks like changes may finally be coming to the controversial school consolidation law, Act 60, which requires districts with an enrollment of less than 350 students for two years in a row to merge with a neighboring district. Both during and after his campaign, Governor Hutchinson has stated that he would support amending the law to allow districts at risk of consolidation that are “academically performing and financially sound” to receive a waiver from the consolidation requirement. A recent Arkansas Democrat-Gazette article confirmed that this issue will likely come up during the legislative session. 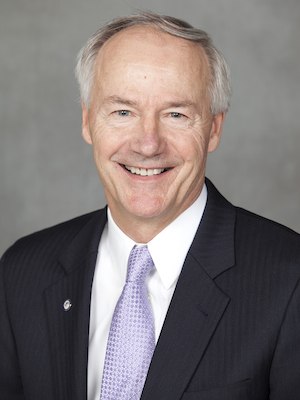 A major part of Governor Hutchinson’s education platform during his campaign was to ensure that computer science classes were offered in every Arkansas high school within four years. Hutchinson has stated that he will ask the legislature to change state law to allow computer science classes to count as a core graduation credit in math or science. Gov. Hutchinson has stated he will request a “thorough review” of the Common Core standards by the Education Commissioner and a task force of educators. In the Legislature, three potential bills related to the Common Core are being discussed: a bill to repeal or significantly alter the Common Core standards, a bill to limit the amount of data that can be collected by the US Department of Education, and a bill to place a moratorium on PARCC testing. In other words, it looks Common Core will continue to be a hot button issue in 2015 and the legislative session could lead to changes in the standards and tests being used in Arkansas schools. To learn more about the common arguments for and against the Common Core, check out our report The Common Core Debate. You can also check out our blog for details about PARCC testing, including what PARCC questions will look like and what tests will be administered. Potential changes to K-12 funding include a raise in stating pay for teachers and proposals to address the school facilities funding shortfall, an estimated $65 million gap between available funding and needs. We expect that other education issues will come up over the course of the session, and we at the OEP will keep you posted!